The Forever Hug™ tribute sash offers a unique source of comfort by enabling families to forever embrace their loved one with memories in life and love. The Forever Hug™ Collection, Inc., a provider of customizable memorial products, announced today the official launch of the company, website and The Forever Hug Tribute Sash. 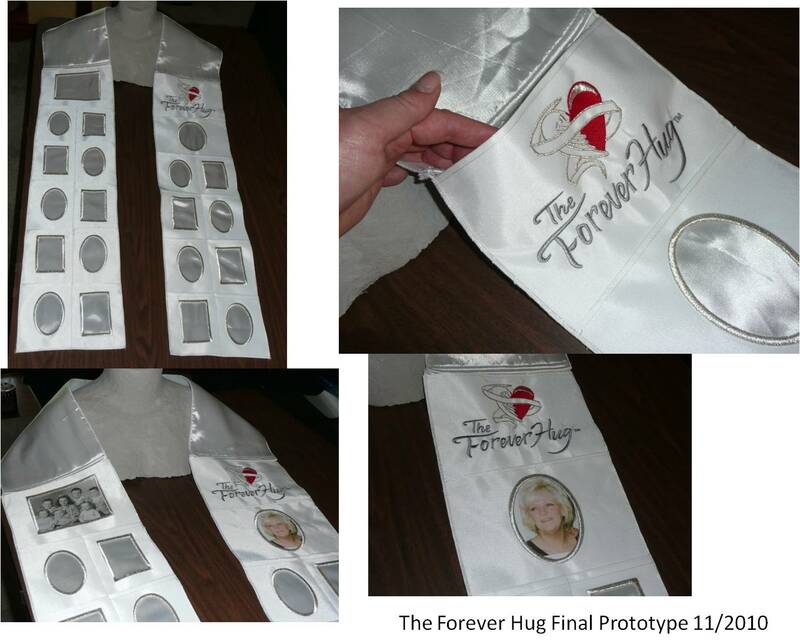 The Forever Hug Tribute Sash is the company’s first product in a collection of unique memorial keepsakes that is designed to be left with the loved one. The patent-pending design allows family members and friends to insert photos, messages and mementos in a sash that can be draped around the loved one as a symbolic forever hug. The beautifully designed sash has 20 photo frames and contains a pocket where messages and additional photos can be inserted. The satin-like fabric with embroidered shiny platinum frames captures light providing a stunning accent to photos. The versatile sash can be displayed with the loved one, draped over flowers on the casket (open or closed), around floral sprays and urns. The sash can also be framed and kept as a symbolic Forever Hug keepsake. The top layer may also be decorated using pens and crayons—a great way for children to leave their special message. About The Forever Hug Collection, Inc. 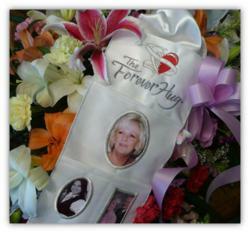 The Forever Hug Collection, Inc. offers unique, customizable memorial keepsakes through authorized funeral homes. The company is privately funded and is located in San Jose, CA. For more information on The Forever Hug Tribute Sash and for a list of Forever Hug Partners, please visit our website at http://www.theforeverhug.com.